BMW announced today that its South Carolina plant has increased its ranking to No. 4 on the U.S. Environmental Protection Agency’s (EPA’s) Top 20 On-site Generation list of the largest green power users. In 2010, through BMW’s on-site landfill gas energy system, the company generated nearly 62 million kilowatt-hours (kWh) of power. This represents about 37% of the company’s overall electricity use, the highest usage percentage of the EPA’s top 10 Green Power Partners. It also underscores the company’s decision to exchange the traditional sources of electricity generation in support of cleaner, renewable energy alternatives. “This achievement confirms our company’s commitment to protecting the environment and continual implementation of sustainable methods of capturing renewable energy, including our landfill gas program,” said Josef Kerscher, President of BMW Manufacturing. Since 2003, methane gas has been collected, cleaned and compressed from a local landfill and used to power more than 50% of the BMW plant’s total energy requirements. In 2009, the company invested $12 million in its landfill gas program to further improve overall efficiency. Implementation of the program has reduced CO2 emissions by about 92,000 tons per year and saves about $5 million annually in energy costs. 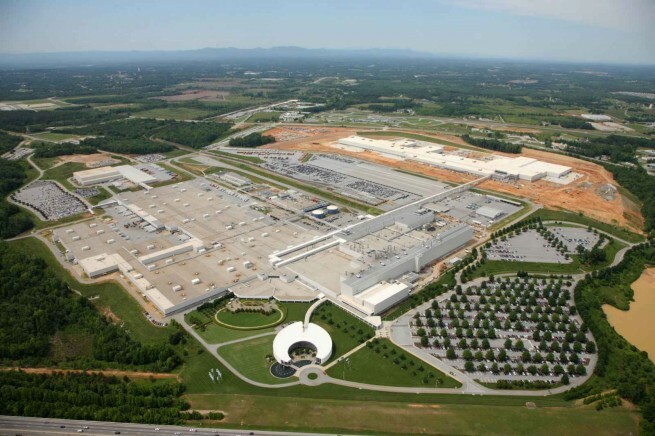 More recently, the company announced the addition of a hydrogen storage and distribution center within their on-site 11 Megawatt Energy Center to facilitate on-site fueling of a hydrogen-fuel cell material handling fleet inside the new 1.2 million square foot assembly plant that produces the all-new BMW X3 Sports Activity Vehicle. According to the Dow Jones Sustainability Indexes, the BMW Group is currently the world’s most sustainable automobile manufacturer. In 2010, the company was named industry leader in this important global sustainability index for the sixth consecutive year. Earlier this week, the EPA updated each of its National Top Partner lists, highlighting some of America’s largest green power purchasers. Each list highlights EPA Green Power Partners with the largest annual voluntary purchases and/or on-site usage through April 6, 2011. The ranking can be found at http://www.epa.gov/greenpower/toplists/.